Indulge your loved ones with luxuriously lavish gifts at these special times. Step into The Body Shop to enter a wonderful world of joyful giving. Discover a world of sumptuous gift sets, many of which have been specially created for this festive time of year. Elegantly packaged, they’re brimming with exquisite fragrances, gorgeous body care goodies and must-have makeup. Each decadent-looking gift set will be cherished by friends and family. Be inspired by the world. Capturing the beauty of the planet, many of The Body Shop fine fragrances will transport your senses to a distant place. From the mesmerising allure of India to the tranquillity of an English garden, you can give a whole world of delight. Bring joy to the world. Giving a gift from The Body Shop helps to spread joy near and far. All the special-edition gift sets feature high-quality Community Fair Trade ingredients that have been ethically sourced from marginalised communities across the world. So by pampering the precious people in your life, you’re also helping to enrich the lives of others. Also, The Body Shop fragrances contain Community Fair Trade organic essence of sugarcane from Ecuador. This is sourced from CADO, a co-operative of over 200 smallholder family farmers. The Body Shop trade helps to give members a steady income, making it easier for them to pay for essentials like food, health and education. Whether it’s a picnic, beach day, family gathering or a night out with friends, summer is a time when people come together for fun. Unfortunately, there is often a fly in the ointment when embracing the “fun season” – higher gas prices, forgetting your sunscreen, waiting in line for the roller-coaster, or that great social buzz kill, bad breath. 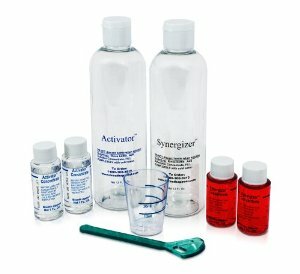 “For a significant number of people bad breath, also called halitosis, is an unnecessary embarrassment caused by malodorant sulfur compounds created by putrefying bacteria in your mouth, primarily in crevices of your tongue,” says Dr. Bob Kross, the oral care scientist and inventor who created the Breath Appeal products (www.breathappeal.com) that eliminate the excess odor causing bacteria. Normal amounts of these bacteria will hardly affect your breath at all, but excessive levels can lead to bad breath and other serious oral problems, Kross says. “It’s not pleasant to think about, but grilled meat can sit wedged in your teeth and tongue crevices for hours, and these particles feed the mouth’s bacteria, increasing the risk of embarrassment associated with bad breath,” he says. • “Beer breath” is just one phase … Just as your favorite beer or cocktail leaves an unpleasant residual odor in your mouth, frequent and long-term alcohol consumption can throw your mouth’s bacterial balance out of whack from dehydration. • National Fresh Breath day is Aug. 6. As if on cue to treat your favorite summer habits, Aug. 6th reminds us that our family, friends, coworkers and neighbors would prefer the same courtesy that most of them extend to you – breath that doesn’t make you want to make you slowly back away during a conversation. • School is near. Fresh breath can help kids’ social life. “No one is too young to experience bad breath, and school children of all ages who are seeking structure and acceptance at the beginning of a school year can suffer a traumatizing setback if they’re teased about their breath,” he says. Make sure your student is practicing good oral hygiene this summer with regular brushing and flossing. If the problem persists, remember that most traditional mints and sprays merely blanket underlying odors for the short-term. Dr. Kross is a PhD scientist associated with All USA Direct, (www.breathappeal.com), producer of Breath Appeal products. Many of Kross’ 40 US Patents, and more overseas, reflect his biomedical specialization, including oral antimicrobials and associated conditions and diseases. At least 90 percent of bad breath is associated with the sulfurous compounds generated by the putrefying, malodor-forming, anaerobic bacteria, which hide in oral crevices, and which degrade food particles and salivary cell fragments, he says. Breath Appeal’s oxidants destroy a major portion of the bacteria in these low-oxygen environments, thereby removing the root cause of persistent halitosis. EighteenSixtySix Court & Suites hosts an Iftar ‘Giving back to the Community’ CSR initiative for 120 Lebanese orphans. EighteenSixtySix Court & Suites is a new extended stay design hotel that will be opening this summer opposite the American University of Beirut. A special ‘Giving Back to the Community’ CSR initiative Iftar for 120 children orphans between the ages of six to twelve from four Lebanese orphanages was held within the court area of the hotel on July 8th, 2014. The Children were invited from the Dar Al Aytam, Mabarrat Al Sayeda Khadija Al Kobra, Mohamed Khaled and Beit Al Yateem orphanages. The event, organized by Phoenix Hospitality Management Limited the management company of EighteenSixtySix Court & Suites, aimed to provide the children with an unforgettable evening of entertainment and caring hospitality. The directors of the orphanages Dar Al Aytam, Mabarrat Al Sayeda Khadija Al Kobra, Mohamed Khaled and Beit Al Yateem appreciated the initiative and the wonderful hospitality provided by EighteenSixtySix Court & Suites and Phoenix Hospitality Management Limited during the Holy Month of Ramadan. 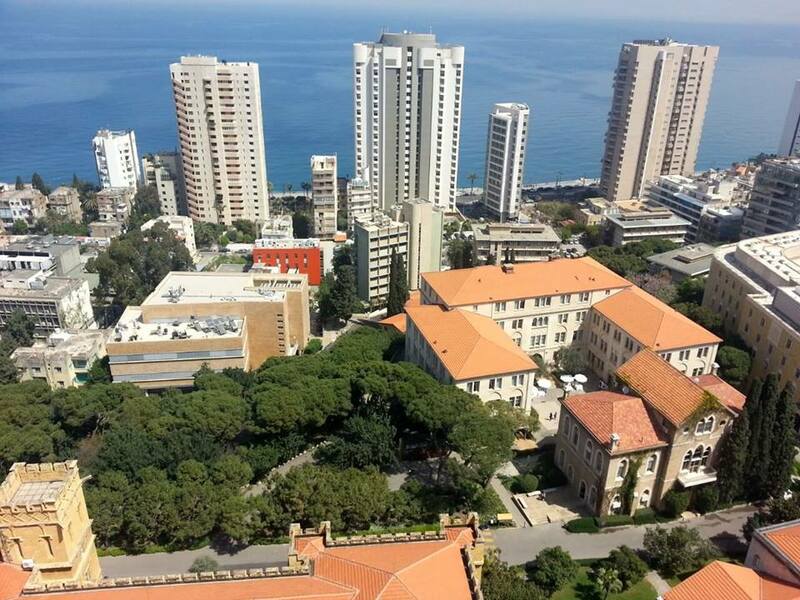 “We plan to hold this event on an annual basis to ensure that Lebanese children from our orphanages can experience our community within the court, and benefit from the loving environment from our hospitality, that makes Ramadan such a special time,” said Naomi Sargeant, Communications and Marketing Manager for Phoenix Hospitality Management Limited. Lush has always used natural preservatives like salt, honey and clay to keep its products fresh for longer. As a result, more than 70% of its range is entirely self-preserving – something not many other cosmetic companies could claim. But that wasn’t enough, Lush has come up with an innovative way to re-balance its formulations, which means that the artificial preservatives can be removed from some of the products that you know and love, all without significantly altering the look, the feel, the price, or reducing the shelf life, and always with the freshest ingredients. The original preserved versions will continue to be stocked, but Mask of Magnaminty, Ocean Salt, Dream Cream and Sympathy for the Skin are now available in self- preserving formulas – with lots more to come! A multi-purpose mask with a mixture of gentle yet effective ingredients to clean, calm and clear the skin – now in a self-preserving formula. Cleansing lime, coconut and sea salt scrub. Ocean Salt is like taking your face on a trip to the seaside for an invigorating splash in the water, then cleansing and refreshing it with lemon, grapefruit and lime juices. Fresh avocado moisturises and softens the skin, while violet leaf absolute calms and nurtures. Use it on oily skin every day and use it to refresh dry skin once a week. A soothing and all-round dreamy hand and body lotion that’s suitable for everyone – now in a self-preserving formula. This simple cream works like a dream on upset skin: cooling and soothing ingredients like oat milk, rose-water and chamomile blue oil calm down hot and itchy skin, as well as a blend of essential oils help to nurture skin: redness-reducing rose absolute, anti-inflammatory chamomile blue, antibacterial and antiseptic tea tree and conditioning lavender. 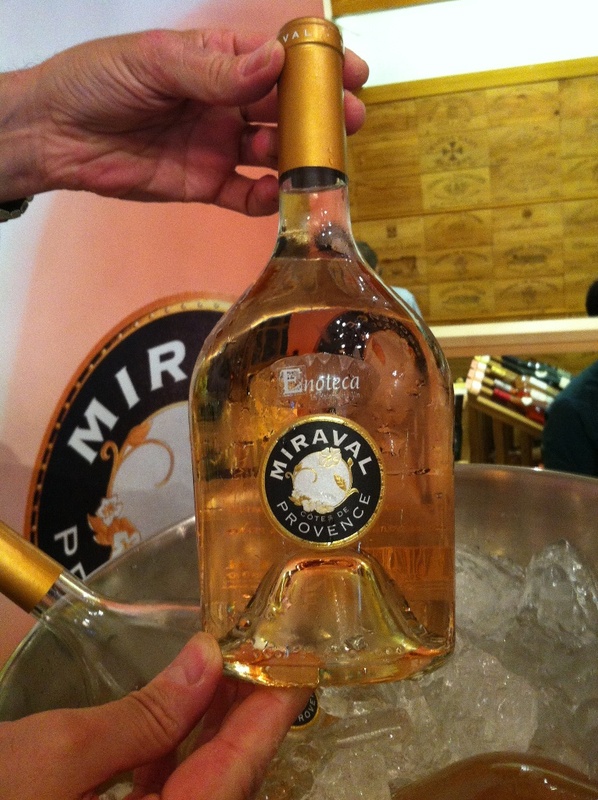 I attended last Wednesday, the wine tasting of Miraval Rosé 2013, that took place in Enoteca,Tabaris. The Provençal rosé, is owned by Angelina Jolie and Brad Pitt. It is produced on the 150 acres of vineyards at the Chateau Miraval, the South of France estate that they purchased for $60 million in 2008. In 2013, the winter was long and dry followed by a cold and wet Spring and important climatic variations up until harvest. Thanks to a lot of hard work in the vineyard throughout the year, the grapes reached perfect maturity. The 2013 vintage is characterized by a low yield but is very promising. 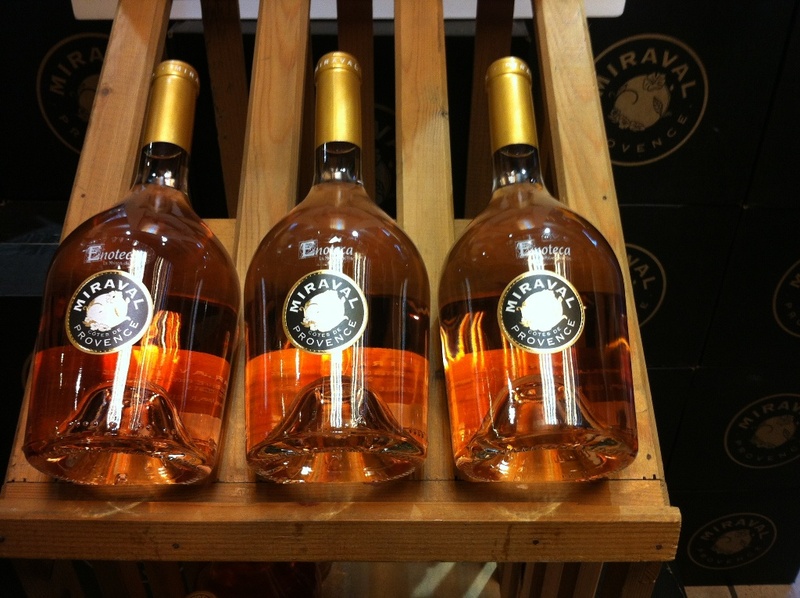 Miraval Rosé is a wonderful blend of fruits aromas and freshness, made on an exceptional terroirs in Provence. The grapes are harvested exclusively in the morning and sorted twice. Destemming. Pressurage direct for Cinsault, Grenache and Rolle. The Syrah is vinifies partially using the “saignee” method. Vinified in temperature controlled stainless steel vats (95%) and in barrels (5%) with batonnage. The Miraval Rosé is great to have outdoors with sunny, good weather. As far as food, it’s good to have it with raw salmon, raw tuna or maybe a Niçoise salad. I was invited with fellow bloggers and media, to try the Iftar at the Méditerranée in Movenpick Hotel. 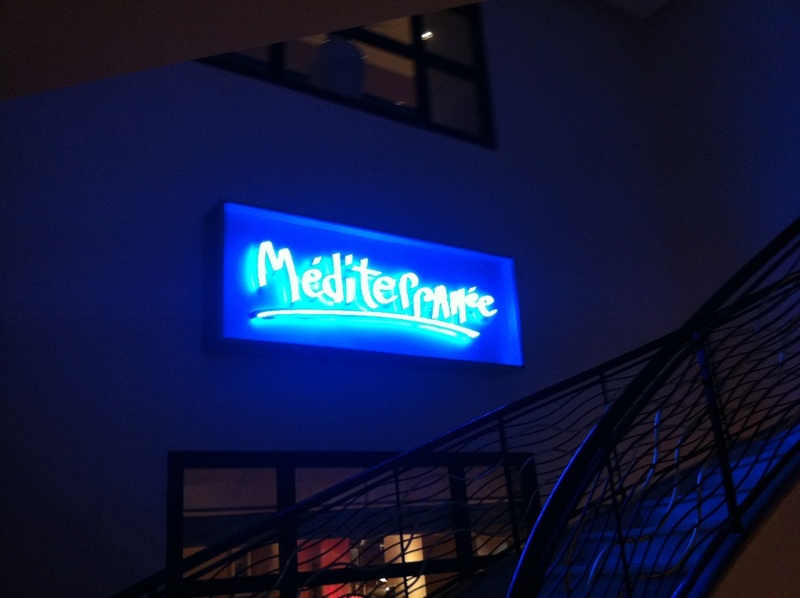 Méditerranée, the hotel’s main restaurant, offers a sumptuous international cuisine with a Mediterranean twist. Then it was the time to go and discover the varieties of the buffet. Starting with the cheese and ham section, salad bar, cold section, and hot dishes. There were also live stations of Falafel, Shawarma and Kafta. The iftar was really good, you’d better hurry up and try it before Ramadan ends! I was invited to the grand opening of Think Pink Relooking Lounge in Mansourieh. Think Pink by Rita Bou Gebrayel, offers meticulous artistry and specialty beauty services in a boutique-style setting to life. With each visit, your artist’s consultation coaches you through the exact steps you need to acquire your ultimate beauty goals. You will have the opportunity to discuss appropriate home care as well as experience the latest in beauty tips and up-to-date fashion looks. The boutique is made of two floors, where you can find all the services you need. At the first floor, you can check the lovely chic clothes collection, and the hairdresser. At the second floor, you can meet the talented makeup artist, fix your nails and try some of the slimming services they have. 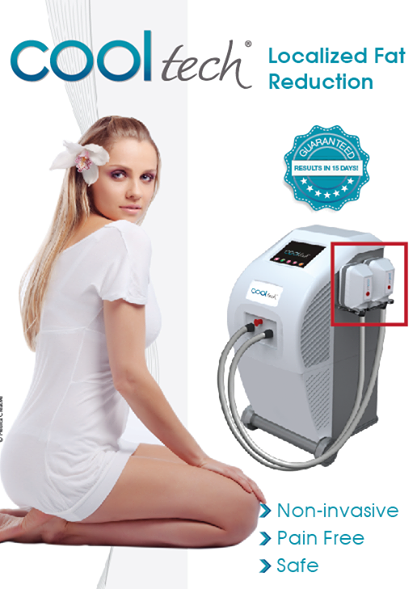 They have the latest machines from Medica, like the cool tech machine that reduces localized fat by a safe and non invasive technique. During the opening, live demonstrations took place to get a real glimpse of their services, and with the presence of their consultants. If you’re searching for a nice place, to pamper yourself from head to toe, then this is the place to go to! A while ago, I was invited to attend the #electrofit full body workout session with Trainstation, that was held at White Beirut. If you didn’t see my previous post about Trainstation, the uniquely designed wellness and fitness studio, go here. The event was in collaboration with Juice up and part of the proceeds went to Meeda. 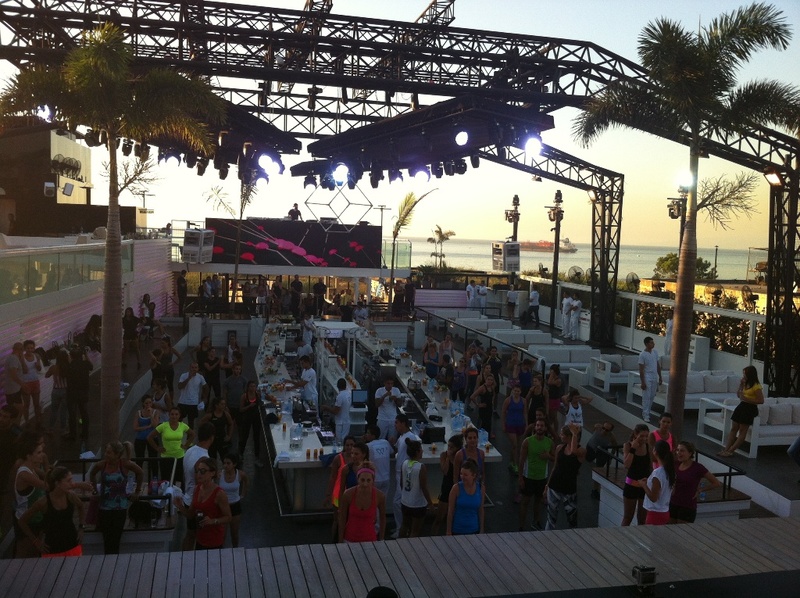 For the first time in Lebanon, the Trainstation trainers provided a full body workout session to the sounds of the best house tunes with DJ Stamina. I loved the idea of the session, wearing sports wear to White! MEEDA is the first non-profit association dedicated to raising awareness, providing support and guidance to all people in the community that are suffering from any kind of eating disorder in Lebanon and the region. I was invited a while ago to the pre-launching of Lebanon’s newest premium vodka “J2 Vodka“. 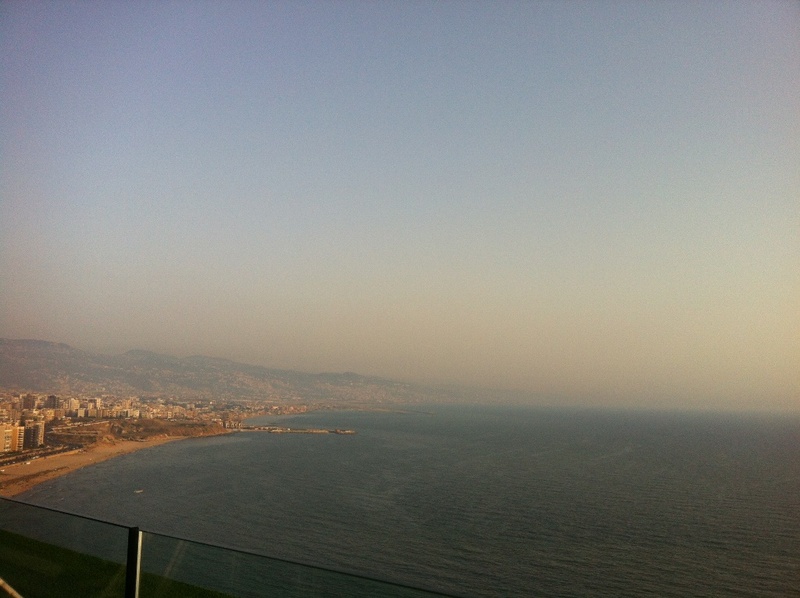 The event took place at the Lancaster Plaza Hotel Rooftop, Raouche, Beirut. J2 Vodka is a one-of-a-kind vodka that combines the experience of the finest producers and distilleries in Poland with the purity of Lebanon’s natural snowmelt spring water. Capturing an eclectic joie de vivre spirit and the taste of excellence in a bottle. The wheat and rye for which Poland is famed, combined with Lebanon’s crisp natural snowmelt spring water gives J2 its unique, clean taste with a light, smooth finish that is truly the best in the market. The essence of J2 stems from its unquenchable party gene; the need to always live life to the fullest, constantly reminding you to never forget how to have fun. J2 is more than a beverage. It’s the embodiment of a thriving club culture unique to the rest of the world. Simultaneously exceptional in quality, stylishly marketable, and culturally relevant; we invite you to embrace the party gene. Love life and live J2. This distinctive blend creates an exclusive spirit and inimitable flavor: a gratifying celebration in every sip. The venue was chosen very well, the view from the rooftop was incredibly amazing! The set up was well done also, bottles of J2 vodka were placed in the fountain, nice band with amazing music and songs. The J2 Vodka is really good, you have to try it! 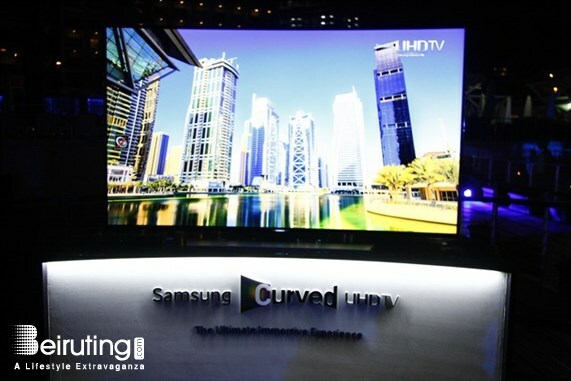 Samsung’s Curved UHD TV takes you into the new world of immersive viewing and makes you feel as though you are right in the middle of the action. The UHD screen is curved at the right angle to provide the optimal viewing distance for your living room. Also, the gently curved UHD screen gives you uniform and balanced viewing from all areas of the screen. With Samsung’s Auto Depth Enhancer, your Curved UHD TV will give you a greater feeling of depth by applying different levels of contrast enhancement on different areas of the screen, making your entertainment more immersive and enjoyable. Samsung’s advanced UHD dimming technology brings the ideal level of contrast and color to your UHD viewing. The higher resolution of UHD also means that the picture requires more processing for a highly detailed image. That’s why Samsung UHD dimming technology has been developed to process black and white as optimally as possible and produce colors that are far more vivid. Samsung UHD TV offers a resolution four times higher than Full HD, with accurate true-to-life color. Enjoy a picture that’s optimized for even greater clarity and detail than you’ve ever seen before.